Joseph Net Frum (December 14, 2011) | Burmeister-Johannsen Funeral Home, Inc.
Joseph Net Frum, the son of Joseph Morton and Anna (Pamperien) Frum, was born on December 30, 1919, in Shelby, Iowa. He attended Shelby schools and graduated from Shelby High School in 1938. On May 24, 1939, Joe married Violet Martha Schade in Shelby. The couple lived in Omaha, Nebraska, where they built and managed a trailer park. Following that, Joe worked for Union Pacific Railroad for ten years. The couple then moved to Ames, Iowa, where they owned and operated the Silver Saddle Motel for three years. The Stuckey’s Restaurant on I-80 (Atlantic, Iowa) also benefited from Joe’s management skills. Finally, Joe and Violet owned and managed the Denison (Iowa) Dairy Queen for 40 years. The couple retired to Omaha, and in June 2009, became residents of the Avoca Nursing and Rehab Center in Avoca, Iowa. Joe was a longtime member of First Central Congregational Church in Omaha, Nebraska. A hard worker, Joe enjoyed gardening, raising vegetables and flowers, and caring for his beautiful back yard. The family dog, Lady Bug, was his pride and joy. Joe and Violet loved to travel by RV to the southern United States, and go on cruises. They also liked to square dance. Joseph N. Frum died on Wednesday, December 14, 2011, at Myrtue Medical Center in Harlan, Iowa, having reached the age of 91 years, 11 months, and 14 days. Joe was preceded in death by his parents; one son, Jack Frum; one grandson, Douglas Frum; and one stillborn granddaughter. He is survived by his wife of 72 years, Violet Frum of Avoca, Iowa; one daughter-in-law, Margaret Frum of Omaha, Nebraska; two sons, Steve (Joan) Frum of Shelby, Iowa, and Barry (Phyllis) Frum of Crescent, Iowa; 11 grandchildren; 35 great-grandchildren; and other relatives and friends. 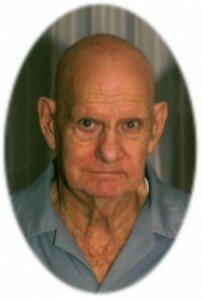 Funeral services were held on Saturday, December 17, 2011, at Burmeister-Johannsen Funeral Home in Shelby, Iowa, with the Rev. Dr. James Harmon of the First Central Congregational Church in Omaha, Nebraska, officiating. Shirley Pattee served as the organist. Casket bearers were David Frum, C.J. Frum, Bob Gardiner, George Cary, Jereomy Frum, and Henry Paulsen. Burial was in the Shelby Cemetery in Shelby, Iowa. The Burmeister-Johannsen Funeral Home in Shelby was in charge of the arrangements. Condolences may be left online at www.burmeisterjohannsen.com.